Q: Should I always play the highest of a suit? Absolutely not, noob. Sometimes you should, but if someone plays a Jack of Hearts and you have the queen, but the Ace and King haven’t been played, you risk throwing away one of your highest cards. Similarly if you are playing pairs you don’t want to just try to take every trick if your opponent is having a harder time meeting their bid! Q: When the highest of a given suit has been played, what do I play? You should play your lowest a mid-ranged card to basically throw-away. The only reason not to play the lowest card is if you want to make sure you can sacrifice a trick to a partner, or to avoid going over your bid if you have too many bags. Q: In trumping, couldn’t I play the 2 of spades, or another low one? Yes. If a spade is played on a different suit (allowed only when you’re out of cards of the suit being played), that spade, no matter how low, will always be trump unless a higher spade is played. Thus, you always want to try to trump with your lowest spade that can unless the next player is also out of the same suit (and may play a higher spade). 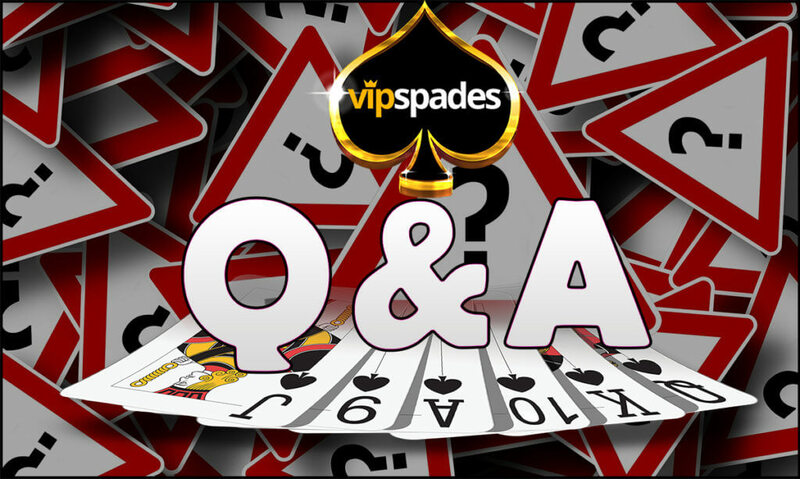 Q: You say always lead high non spades early, but save high spades late. Why? When players begin running out of some suits, spades start trumping some cards others may have factored into their bids. An Ace of Diamonds is 90% sure a free trick played early on. It is worthless played against an opponent mid-to-late game who has a bunch of spades and zero diamonds! 13, silly. You should familiarize yourself with a standard 52-card deck before you pick up a game! Q: Can you Trump with spades on the first trick? Some “house rules” state no trumping the first trick, but while all variations of spades require no leading with spades until they’re broken as a trump on another trick, no official variations prohibit trumping on the first trick in spades.